Loads of folks call the ALBC office thinking that we keep or sell livestock from the office. Although this isn’t the case, what we do have here on four legs are the ALBC dogs. National Bring Your Dog to Work Day (June 25th) is upon us and I thought it would be appropriate to shine a light on the animals that have become an integral part of the ALBC family to connect us to the animal kingdom while serving as ambassadors to our office visitors. The decision to allow dogs in the office actually began with a feline visitor who got stuck in the crawlspace under the old ALBC office. We were able to get him out of the space after two days and had him settle into life in the office as we searched for his owner. We started calling him “Toby” as “cat” didn’t seem to fit him at all. He was well-mannered but had a knack for getting stuck in the weirdest places you could imagine. After a few days of Toby-proofing the nooks and crannies of the office, he seemingly found life in the office appealing. Visitors would often find him relaxed sunbathing in the front display windows on sunny winter mornings. A month-long search around the community and with local shelters ended with no one claiming the cat. At that time our office manager, Angelique, brought Toby home one long holiday weekend and found that her husband Arnold had instantly fallen in love with the cat. 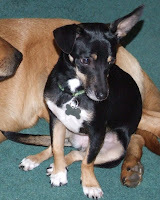 It was decided that this was fate and that Toby had found a permanent home with them to this day. 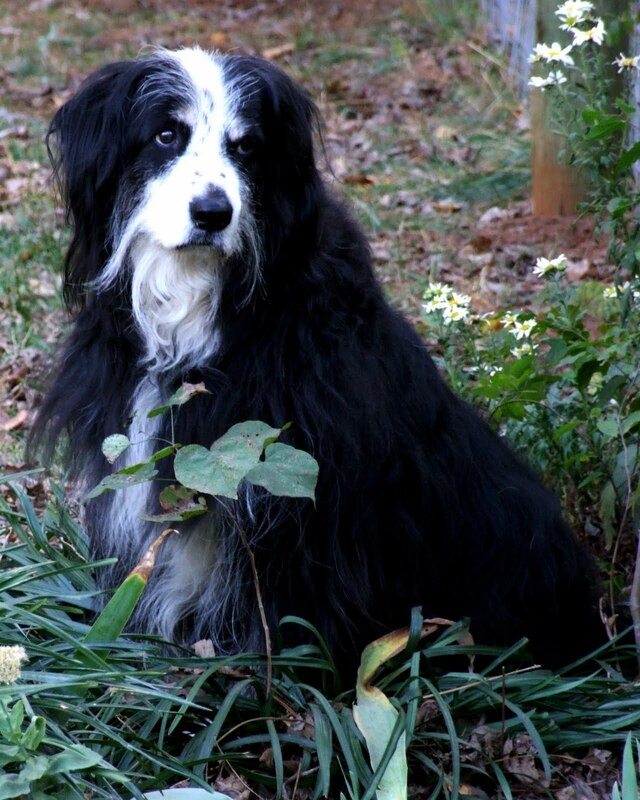 The ALBC staff all agreed it was pretty neat and relaxing to have an animal around the office so Chuck, our Director, graciously agreed to allow my old Border Collie mix, Sydney, to come to the office. She had recently needed extra attention in order to monitor a medical condition so coming to work was a real boon for her. She was a perfect office dog that was well mannered, quiet, but gently exuberant whenever a new face walked into the office. Sydney happily came to the office with me for over a year before she finally succumbed to renal failure at the ripe old age of 16. Sydney was gone but having an office dog was now a part of life at ALBC. The problem was we all had dogs we would like to bring to work. We decided that we would begin rotating days so we all had a chance to have our four legged friends accompany us to work. We have a dog for every day of the week now! 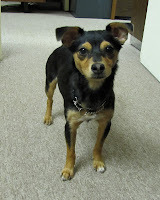 Our longest standing office dog is Lucy, a Dachshund/Rat Terrier mix who began coming to the office shortly before Sydney passed. She was adopted by Angelique and basically grew up in the ALBC office with all of us. She is a dog with a definite mind of her own but once inducted into her “circle of friends” you are there for life. She’s extremely intelligent and has a great portfolio of tricks she’s learned over the years from dog training classes and even a canine acting workshop. 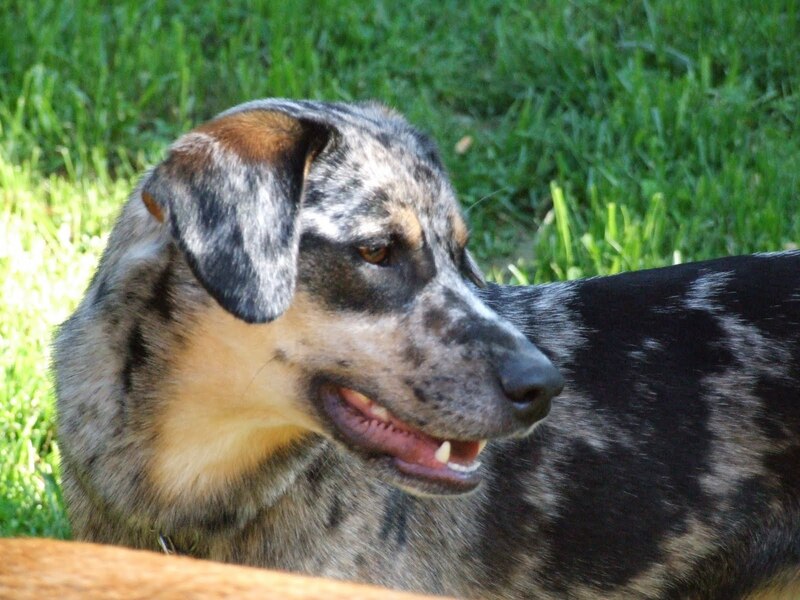 Buck is a Catahoula Curr that came into my life shortly after Sydney passed. Because of all of the work I have done for ALBC in the Southeast, I became interested in Currs as they are very common farm and hunting dogs in this region of the country. Catahoulas are a traditional farm dog originating from Louisiana and are used for everything from herding cattle, pest control, hunting, to guarding livestock. They are high energy working dogs but Buck knows when he’s in the office, he is to be on his best behavior. You most often find him snuggled on his blanket under my desk or not far from my feet. One thing for certain, in the office you’ll never hear a peep out of him outside of an occasional yawn or the jingle of his dog tags. It isn’t until we get back home that his high energy nature kicks in and drives him to run and play until dark with our farm’s guardian dog, Gigi, a large Anatolian cross rescued from a local shelter. Michele is the official ALBC office dog aficionado and expert. 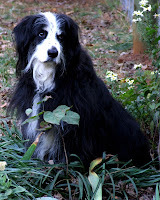 During their free time she and her husband Brian are very successful show dog handlers and breeders of champion pure bred Branestorm Kennel Collies. Their dogs are not only successful in the show ring but they are also trained to herd sheep and duck as well as compete in agility events. Michele rotates several dogs on her assigned day including Lark, a champion show and agility dog and mother to the latest litter of puppies. One of her pups, Joy, is another that comes to work. Joy is future star in the making for Michele who hopes she will succeed and excel as a show Collie just as her mother has over the years. A beautiful English Setter by the name of Geoffrey comes to the office through Marjie. Geoffrey came to Marjie by way of one of the finest field trial kennels in the country. Because of Geoffrey’s timid but sweet nature, he did not make the cut as a field & gun dog and needed to be placed in a good home. Marjie stepped up to the challenge of raising this high energy pup and we have all delighted in watching him blossom into a joyous and stunning young dog. Despite his hulking size, he still considers himself a lapdog when he can but has the athletic drive that keeps Marjie on the go outside of his down time. The newest addition to the ALBC office dog line-up is Daisy Mae, a very sweet Chihuahua mix rescued from the local dog pound a couple of months ago. It was love at first sight for Anneke when the two met. Daisy loves coming to the office and will “make the rounds” to everyone’s desk several times a day to be sure no one forgets about her. She’s sweet and affectionate and it seems like she understands that she made out like a bandit when she found her now home with Anneke. Jennifer and Chuck like to joke that they have their pick of pets since a different dog is in the office each day. The both share an affinity for Basset hounds. Jennifer has a Basset mix, Sadie, who on occasion visits the office. She prefers her soft bed at home to the hard floors at the office. Chuck (Bassett) appropriately had a Basset hound for many years but now he just enjoys the office pets. Much of ALBC’s work is based behind a desk or on the phone so it is easy to sometimes feel disconnected from the animal side of our work. Although they aren’t rare breed livestock, the office dogs represent a direct animal connection to constantly remind us of the living, breathing creatures we all work so hard to conserve. 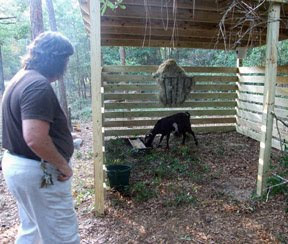 As many of you may have read or heard, ALBC is in the process of rescuing a feral population of Spanish goats on an island in the Lowcountry of South Carolina. The following provides an update about the rescue and explains the importance of this specific population. 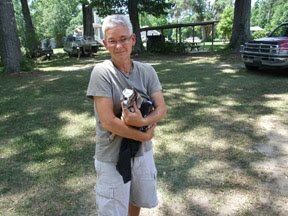 The American Livestock Breeds Conservancy (ALBC) has completed the first phase of rescuing an isolated population of Spanish goats on an island in South Carolina. This population is one of only two known strains of Spanish goats to exist in the Southeast. Their genetics are extremely valuable to the Spanish goat population as a whole which currently numbers less than 2,500 animals in the entire United States. This specific population has adapted to the challenges of the hot, humid, swampy environment of the Southeast for 500 years. These adaptations are unique among Spanish goats and are worth conserving. Due to inbreeding and predation, the South Carolina Spanish goat population is threatened with extinction. Just 30 years ago, there were over 100 goats on the island. Today, fewer than 30 remain. These animals possess valuable genetics that need to be maintained for future generations. Removing selected animals from the population and placing them into a conservation breeding program will ensure the survival of this unique strain. On May 15th, ALBC staff members Jeannette Beranger and Marjorie Bender traveled to South Carolina to complete the initial phase of the removal process. Previous trips ensured the herd was documented and photographed. Photos were then evaluated by ALBC’s Technical Advisor, Dr. Phillip Sponenberg to determine Spanish phenotype and to identify target conservation animals prior to beginning removal. 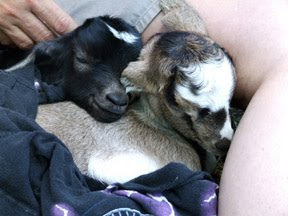 Goats were brought to the mainland where they were documented, hair samples were taken for genetic analysis, and they were moved into a large trailer for transport. The pregnant does were transported to Brookgreen Gardens, a sculpture garden and wildlife preserve just south of Murrells Inlet, South Carolina. Brookgreen Gardens has agreed to work with ALBC to develop a conservation breeding herd that can be dispersed as numbers are increased. Brookgreen has several other rare breeds of livestock and has devoted over 6 acres to house the goats. 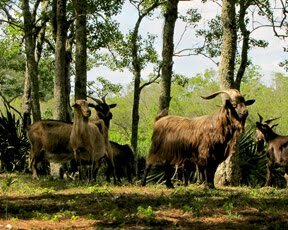 The proximity of Brookgreen Gardens to the island ensures the goats will be kept in a natural habitat similar to that of the island. The young doeling and buckling that were removed are being kept by volunteers, as they require regular bottle feedings. Once they are able to browse and forage, they will be transported to Brookegreen Gardens to join the rest of the herd. Removal of the young animals was necessary to ensure they were not eaten by predators.